In a recent blog post I mentioned how SharePoint Designer 2010 was now available for free download from Microsoft. What I have discovered after downloading and installing it is in fact that it only works with SharePoint 2010 sites. This means that if you want to work with previous versions of SharePoint (version 2 & 3) then you are going to have SharePoint Designer 2007 installed as well. Clearly there must be some major changes behind the scenes if the new version of SharePoint Designer doesn’t support older version of SharePoint. However, when you look at the changes to the SharePoint 2010 interface (e.g. ribbon interface) you can understand why this is so. A whole 10 seconds! How did I manage that? 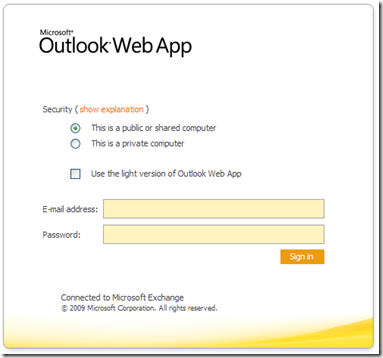 Simple, I have my Exchange server hosted in the cloud. Someone else worried about the hardware, someone else worried about the software, someone else worried about the migration. In short, SOMEONE ELSE worried about EVERYTHING! All I had to do was a choose a time at which I wanted the change over to occur. After going through many onsite Exchange migrations over the years I have gotta say that I really don’t miss them and couldn’t be happier that I migrated to Exchange in the cloud over 2 years ago. I truly believe, going forward, that the ease with which such an upgrade was carried out is going to endear itself to more and more technology users as they now simply want just to USE the technology and not have to worry about MAINTAINING it. 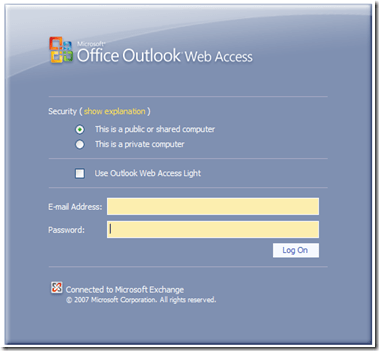 During my 2 years so far with my emails in the cloud I have not had one outtage, not one! Sure I’m just one person using one single instance of hosted Exchange but baby let me tell you that not having to worry about all the usual dramas with emails such as viruses, spam, disk space and so on has been a boon for my productivity and my business. It is exactly for reasons like this that I happily proclaim that I’m cloud and proud. Now that SharePoint Foundation 2010 is readily available for download (see previous blog post) I have also found that SharePoint Designer 2010 RTM is also available for download free. After manually installing all the prerequisites for SharePoint Foundation 2010 on SBS 2008 I attempted to install SharePoint Foundation 2010 on SBS 2008. If you really want to try this yourself and are baffled where the prerequisite Microsoft Filter Pack 2.0 is then you should contact me as you won’t find it on the Microsoft download site (that’s version 1.0 and 2.0 Beta, neither of which works) from what I see. which is basically game over. Interestingly when you go to the web link provided (http://support.microsoft.com/?kbid=975805) it doesn’t exist which kinda indicates that maybe the KB article is still being written on this one. Nothing also comes up when you do a Google search. So that’s it game over eh? One would have said that also about running Search Server Express 2008 on SBS 2008 wouldn’t you? Especially if you have been reading this blog (especially here). Well I’m here to tell you that I have worked out how to successfully install Search Server Express on SBS 2008. It ain’t pretty but it can be done and it’s only taken me almost 2 years to work out. Maybe getting SharePoint Foundation 2010 running on SBS 2008 is my next challenge from the gods of code? Hopefully, this won’t take me another 2 years! Oh, you want more details on how to install Search Server Express 2008 on SBS 2008? You’ll just have to stay tuned or subscribe to the Windows SharePoint Operations Guide as it will be published there real soon. Yesterday was the 95th anniversary of landing on the Gallipoli peninsula by Australian and New Zealand troops.The 25th of April is beginning to mean a lot more in our national consciousness as current generations begin to appreciate and honour the sacrifices these men and others through the ages have made to ensure we live the lifestyle we now do. Yet only 3 years after the landing in Gallipoli, again on ANZAC day, Australian and New Zealand troops liberated the town of Villers-Bretonneux in northern France from the Germans after fierce fighting. It was a remarkable feat with Brigadier General Grogan VC, who saw the action, describing the successful counter attack by night across unknown and difficult ground, and at short notice as “perhaps the greatest individual feat of the war”. The Allied Supreme Commander, Marshal Foch, referred to the “altogether astonishing valiance” of the Australians, ( most likely meaning valour ). The town and people of Villers-Bretonneux have never forgotten the feats of the soldiers from so far away and to this day also celebrate ANZAC day. Having been to Villers-Bretonneux myself I would recommend that if you are ever in the region you spend some time visiting where another ANZAC legend has been forged, on another ANZAC day. For those still on active duty we say stay safe and return home soon, we are proud of you. 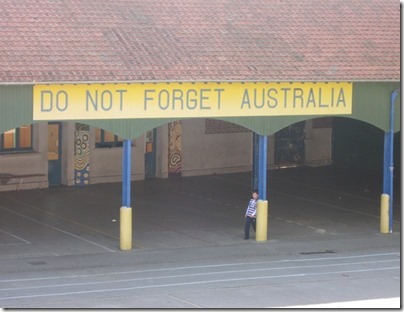 To learn more about the ANZAC contribution in France during World War I visit – www.anzacsinfrance.com. and you can view it online as well as download it. The stsadm –o backup command creates a single data file of your site that can easily be restored. Without this you are going to have to try and recover databases and web applications and it all gets very messy, especially with versions prior to version 3. An stsadm –o backup allows you to blow away a defective SharePoint site, install a new clean site and then use stsadm –o restore to get the data back. This can be really handy if you also have to do a restore to different hardware or different network topology. To get the backup functioning in a different location typically takes some additional steps around security but that process is much easier than trying to recover SQL databases (especially MSDE) on a different server. The easiest way to automate these command line backup sis to create a batch file with the command and use the Windows Scheduler to trigger it at the appropriate time. Personally, I do it in the middle of the night and send the data files up to storage on the Internet. 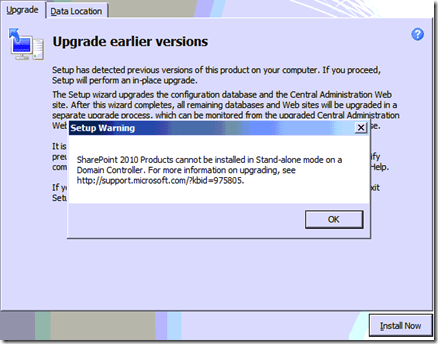 Without an stsadm command line backup you may struggle to restore a SharePoint site in teh case of a disaster. Be proactive and implement an stsadm backup and then use the data file to test a full disaster recovery, just to be sure you know how to do it. Better now than in a crisis! I’ve just posted up a new ‘how-to’ SharePoint video. This one covers how to enable notifications via emails from a SharePoint site when changes occur. <img src="http://lh3.ggpht.com/-c3ckS_kSMK0/UPeaW69ExHI/AAAAAAAAHds/npz58Woeg_E/video62f6969a3499%25255B4%25255D.jpg?imgmax=800" style="border-style: none" galleryimg="no" onload="var downlevelDiv = document.getElementById('3d4fbfcc-a114-46ad-b214-127854217544'); downlevelDiv.innerHTML = "
This feature can be very handy to keep track of what is happening in just about any part of SharePoint. I have also just about completed a complimentary document to go with this new video so you can also that to learn how to enable on of the most handy features of SharePoint (it will go up on my Slideshare site where my other documents are soon). Don’t forget that I’ve also got a range of other ‘how-to’ videos on my YouTube channel that covers SharePoint and other topics. As always send me your feedback and comments, all welcome.